There are some places in my home town of Wollongong where I just don’t expect to find good beer. Places where the local BWS opts not to stock poofter beer like Stone and Wood or 4 Pines because it takes up fridge space that could be better used to store VB. Or cans of whatever soft drink and spirit combo people use as fuel to punch either other senseless these days. 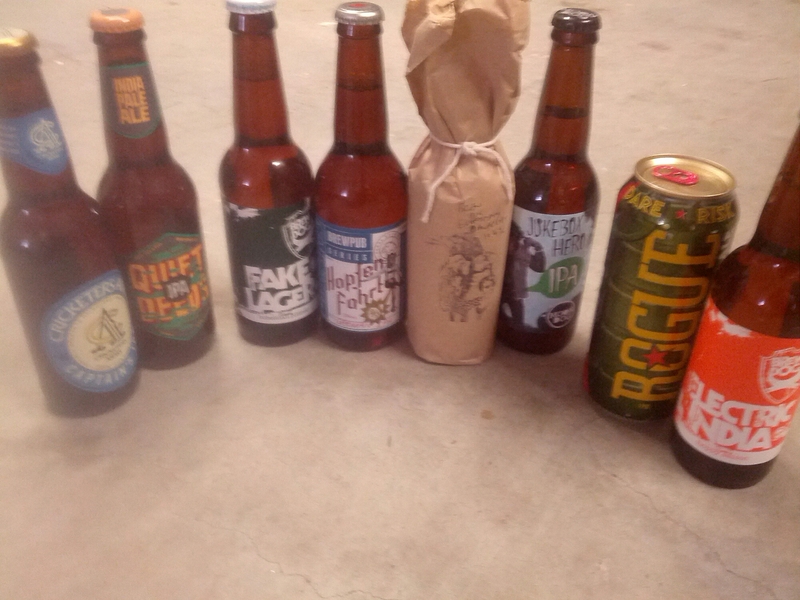 Places where I don’t even bother stopping in at a bottle shop – just in case there’s something interesting inside.Warilla is one of those places. I’ve driven through it. I’ve even stopped there a few times. But I never bothered with checking out the bottle shops. Because, hey, I knew there would be nothing in there for meBut sometimes places can surprise you. I mean really surprise you. I’m talking about the Cellarbrations outlet at the Warilla Hotel. Yeah, I know a franchise bottle store doesn’t normally inspire confidence, but this place is good. I’ve seen anywhere else in the Illawarra is the Cricketers Arms on the left. The Rogue beer in a can? Hell, I didn’t even know they canned their beers – never seen one before. The beer in the paper wrapper? Well that’s a Brew Dog Everyday Anarchy – a 10.3 per cent Belgian beer. Never seen that in Wollongong before either. In fact, I’ve never seen it anywhere before. And yet there they are – in Warilla. A place I had written off as a barren desert for good beer. One thing’s for sure, the bottle shops in the northern suburbs might need to watch out for this upstart from Warilla. Especially if it keeps stocking stuff like this.